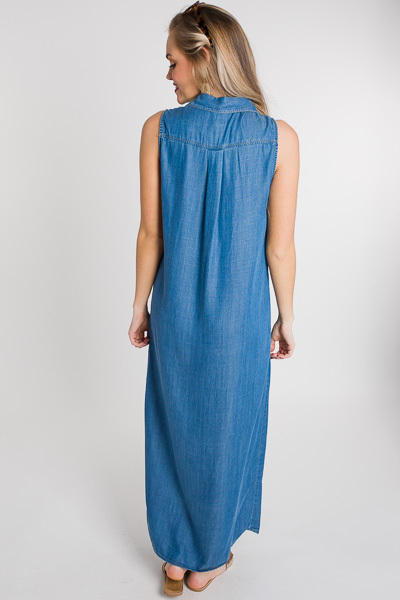 This denim maxi is absolutely timeless!! 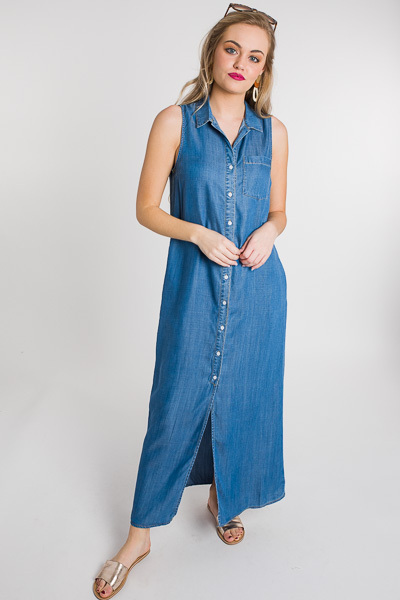 The medium wash, button front, and relaxed fit give it a causal vibe- but belt it and add some wedges and you can totally take it up a notch! 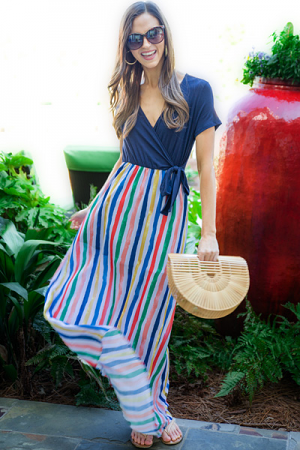 100% tencel fabric, so it's extra smooth on the skin. 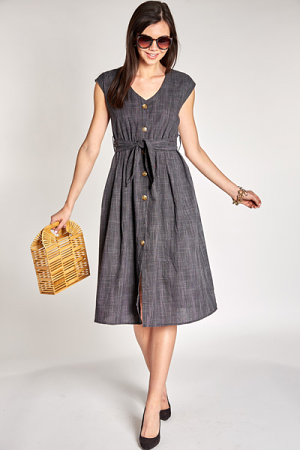 Shoulder to hem measures approximately: S- 51.5" M- 52" L- 52.5"